Ok, so listen there are a few things we hear from new athletes when they are in prep/offseason. Traveling is super overwhelming simply because most of our preps are 12-16 weeks long! It’s nearly impossible to assume that nothing is going to come up during that time. Prep is not a social death sentence. Strategies: If you are on IIFYM your life will be so much easier than our Bro-plan sisters. There are so many options for travel and eating well on the road. TSA: OY.. that’s tricky. I put everything in my suitcase so I don’t even bother with frozen chicken breasts and a six pack cooler. That’s so old school and unnecessary any more. If you ‘must’ bring your chicken breasts with you, freeze them. I never found any of this valuable. I don’t like eating thawing food. I’d rather just buy deli chicken. But, feel free to exercise your beast mode mentality and take it with!! I get these at Walmart. I can put them in my carry on and I can eat them cold. I’m ok with that. Just add water. 20g P and 34 C.
whey isolate in small zip lock bags. Label them with the macros!! Remember to bring a few blender bottles and your scale! 2. Keep Protein bars, like Quest bars in my carry on or purse for hunger emergencies. 4. Veggies. I always book my hotel room with a microwave so I get the veggies that steam in the bag or are in serving plates. Restaurants: Our team does not eat in restaurants in prep. I have brought my own food to many restaurants. The reasoning is.. you don’t know what the chef is putting on your food. They may not tell you that they spray that buttery spray on your chicken breast and that is lots of fat. When I’m in prep, if I can’t see how it’s made, I don’t eat it. Caveats: A bowl of lettuce or raw veggies. I’ve done that. Fruit.. ok. I’m good there. I carry my scale. Truth bomb: 12 weeks out vs 4 weeks out.. my macros are considerable different. There is no room to have extra macros unaccounted for as I near the finish line. Fueling my workouts is my number one priority. Getting my protein /fiber /veggies is next in line. I might save back carbs and some of my fats for ‘unknowns’ . I’m going to hit my macros like a boss but I’m a huge fan of carb cycling for my life. If I have more carbs on a day I’m walking around more.. so be it. Also, I know that sometimes, it’s hard to get all your food in and no one wants to be back at the hotel after an all day meeting having 6 protein shakes to hit your numbers. When you are at Walmart pick up Protein Water to drink during the day!! I’ve also stayed at Marriot Courtyard which also has a full kitchen. If you don’t need a full kitchen, I recommend Marriot suites! They always have a fridge and Microwave. When I was in Las Vegas I booked through Fun Jet this lovely condo! and a Starbucks. These hotels are all over the world. Just Google #Hilton Grand Resorts!! One recommendation is to join a chain gym that you can use while on the road. Gold’s Gym or Lifetime are good choices. I will tell you that if you try to buy a week pass you will pay massive fees. We wanted few day pass to LVAC and it was 100 dollars. Since we now can Uber around, it’s worth it if you need a gym that surpasses your hotel gym. With Hotels like Marriot, we typically see a nice gym but in NYC.. NOPE!! It’s a tiny room with a mat. Be sure to navigate your potential workout facility before you go. Hard Rock Las Vegas. Yep. I got this. I always travel with bands just in case. I also do my track on parking lots. What are your travel secrets? Congratulations to Dwayne “The Rock” Johnson for being chosen as People Magazine’s Sexiest Man Alive. The Rock is a fitness icon! He is an athlete and clearly he lifts! Not only is he a super positive force in his career, he knows how to eat for his physique goals. One thing we can all be sure of he has his food correct !! After he finished filming “Hercules” The Rock held an epic cheat day! On this day he whipped up his famous pancakes and ate 12 of them! I love this picture because in our world of IIFYM, we call this a ‘carb up’ or refeed. When a person has dieted for a while, a few things happen. 1. The person gets weary of the diet. Even on IIFYM the fact that we are on a hard cut means we are eating less. 2. Our bodies can become adapted to the lower calories/macros. A simple carb up or re-feed or in this case.. cheat day will help in both those scenarios. So while “The Rock” called this an epic cheat day, he still utilized the concepts of body building and IIFYM. He is eating with purpose! In our program, carb ups or re-feeds are given to clients with specific instructions. It’s not a random cheat day or binge day, just so you know. The Rock is a huge dude so 12 pancakes fits his macros. Most of us, ladies.. not so much. 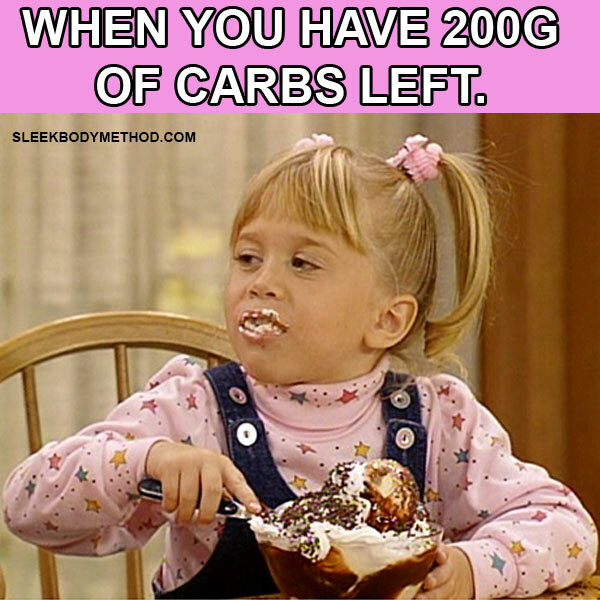 That’s why we tailor our carb ups for our clients so they have the best results. 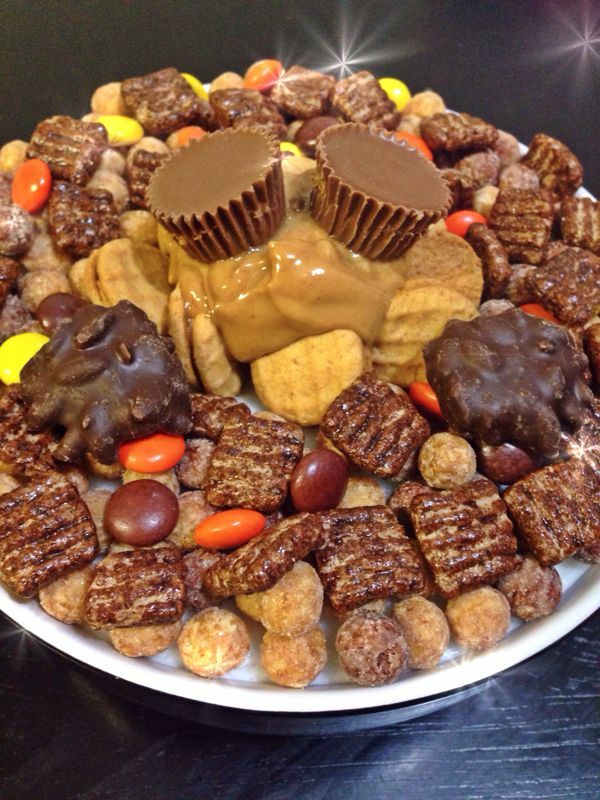 If It Fits Your Macros is amazing because it’s all about the YOU. You can carb up on things YOU like. I like Fro-yo and Cinnamon Toast Crunch! Our clients have a lot of fun when it comes to their re-feed! If you would like to know more about IIFYM and learn the secrets of success, please check us out on LEARNIIFYM.COM We will teach you online!! We will work with you to help you reach your physique goals! This flex bowl fits SOMEONE’S macros. If you are a Flex girl you have heard the term Flex Bowl but may not know what it is . With Flex dieting (#IIFYM) you may have dangling macros at the end of your day. 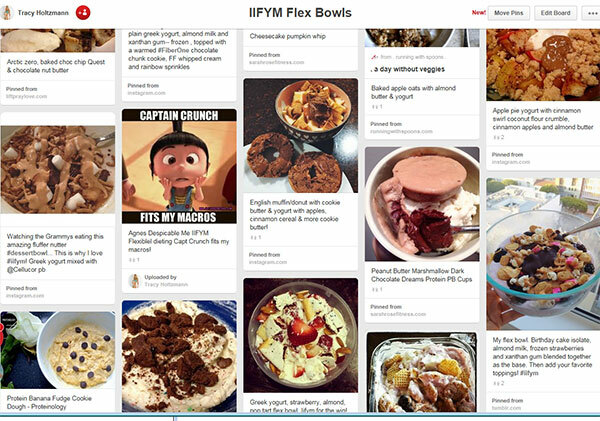 Flex bowls are creations that you can use to use up your leftover macros. what you want to it and finish the day strong. 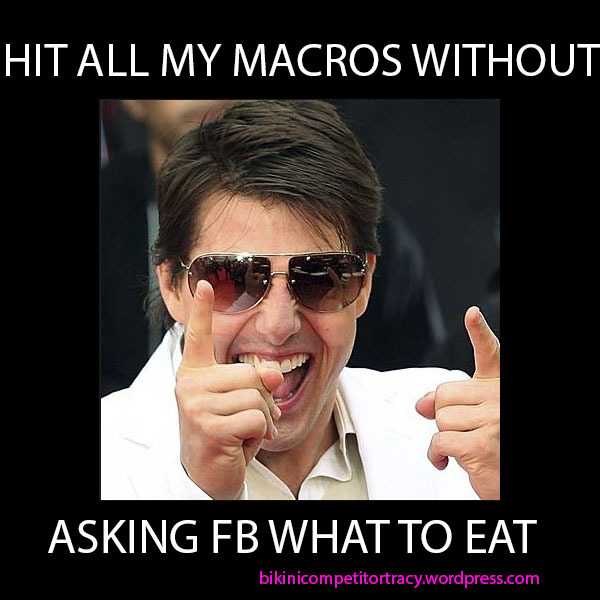 If you have leftover macros.. do not ask Facebook what to eat? Flex Bowls are sometimes called “Pro-bowls” because the base is usually protein. I tend to enjoy sweet things so my flex bowls will begin with Fage Zero Greek Yogurt. What I put into that is up to me. 4 table spoons of real whip cream is 10g F.
I am ending my day within my +5/-5 goal. 6 oz Fage Zero Fat Greek Yogurt 18gP, 7gC , 0gF. 12g carbs remain as well as 7.5g fat. Mix in 1/2 cup of frozen berries with 2.5 teaspoons of natural peanut butter. Blend it up and eat it like ice cream. Hit it almost to the exact number! Still finished within my +5/-5 for the day. DO I HAVE TO EAT SUGAR IN MY FLEX BOWL? and you should fill it with things you like. If you use sweet items that’s ok too as long as you hit your fiber each day. Carbs are carbs so pick what you like. What about Savory foods? Can I start the day with a Flex Bowl? loves more savory fare and creates morning flex bowls that begin with eggs or egg whites. She then adds Fat Free cheese, refried beans, salsa or pico and even guacamole. If your base is protein, you are simply going to fill in the macros with what you like in the amounts that fit. The flavor is up to you. are having trouble reaching those numbers. What if I just freaking want a flex bowl? Add the exact ingredients you want to your tracker early in the day and make sure you eat around it. Hit your macros and fiber! BOOM. Who says you have to have turkey and rice for dinner? My off season girls.. seriously.. Yum.